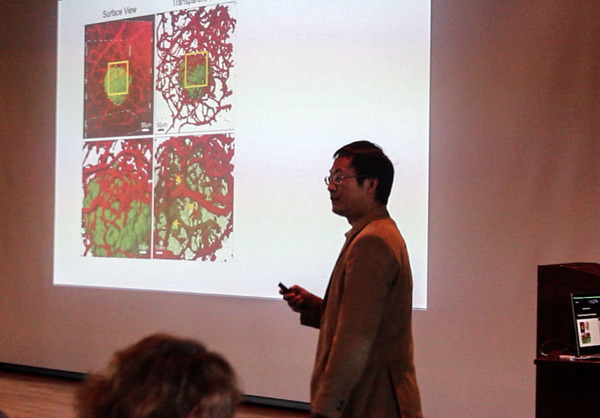 The afternoon began with an amazing journey through the brain microenvironment, guided by Siyuan Zhang, the Nancy Dee Assistant Professor of Biological Sciences. Zhang demonstrated the power of a novel tissue clearing and visualization protocol combined with three-dimensional image analysis to visualize unique interactions between metastatic breast cancer cells and astrocytes in optically clear brain tissue. In collaboration with Danny Chen, professor of computer science and engineering, Jeremy Zartman, assistant professor of chemical and biomolecular engineering, and Brandon Ashfeld, associate professor of chemistry & biochemistry, the team aims to use this knowledge to design therapies that block the ability of metastatic tumor cells to thrive in the brain. An international collaboration aimed at a deeper understanding of global breast health disparities was presented by Laurie Littlepage, Campbell Assistant Professor of Cancer Research at Notre Dame. Working with colleagues at Moi University in Kenya and Indiana University School of Medicine, Littlepage summarized results of an ongoing study of breast cancer in Kenyan women, who present with highly aggressive breast cancer at a young age. Early data suggest that evaluation of molecular markers, assessment of immune cell influx and genetic sequencing approaches hold promise for understanding the molecular changes responsible for early onset of aggressive disease. A detailed molecular understanding of chemoresistance mechanisms was presented by Jenifer Prosperi, assistant professor of biochemistry and molecular biology at Indiana University School of Medicine – South Bend. Evaluating breast cancers that have lost expression of a tumor suppressor known as APC, Prosperi showed that APC loss is correlated with enhanced resistance to specific chemotherapeutic drugs. Understanding how APC regulates drug transporter expression and drug import into cancer cells may reveal novel mechanisms to enhance the efficacy of chemotherapeutic agents. Steve Buechler, professor of applied and computational mathematics and statistics, presented a mathematical approach to predict responsiveness to therapy in women with triple negative breast cancer. This poor prognosis subtype, more prevalent in younger women of African American and Hispanic ethnicity, exhibits a unique mutational profile that results in high grade breast lesions. Because of the current lack of targeted agents for this molecular subtype of breast cancer, many women that are treated do not respond to therapy, yet must still suffer the side effects of treatment. Using publicly available molecular expression data, Buechler developed a 10 gene “RespondR” panel that can be used to predict treatment response prior to onset of chemotherapy. Statistics show that ten to thirty percent of breast cancers are missed during routine screening, particularly in women with dense or fibrotic breast tissue – yet this is the same population of women that are at greater risk for breast cancer development. The most common breast abnormality visualized by mammography is microcalcifications – deposits of a bone-like mineral within dense or fibrotic breast tissue. Enhancing the ability to visualize these structures in women with dense breasts required an interdisciplinary approach. Ryan Roeder, associate professor of aerospace and mechanical engineering at Notre Dame and Tracy Vargo-Gogola, senior lecturer of biochemistry and molecular biology at Indiana University School of Medicine – South Bend, together developed a method to introduce micro-calcifications into the mammary glands of mice with dense breast tissue. A nanoparticle-based imaging agent was then developed that dramatically enhances the ability to see microcalcifications under conditions that mimic mammography, even when present in dense tissue. The team is currently adapting this approach to use improved nanoparticles and clinical-grade instrumentation with the aim of enhancing the sensitivity and specificity of mammograms in women. The highlight of the symposium was the keynote presentation by Dr. Doyin Oluwole, former executive director of Pink Ribbon Red Ribbon at the Bush Institute. She began her presentation with a short video on the “Power of One,” that served both as an education about cancer growth and as a call to action to address global health disparities. 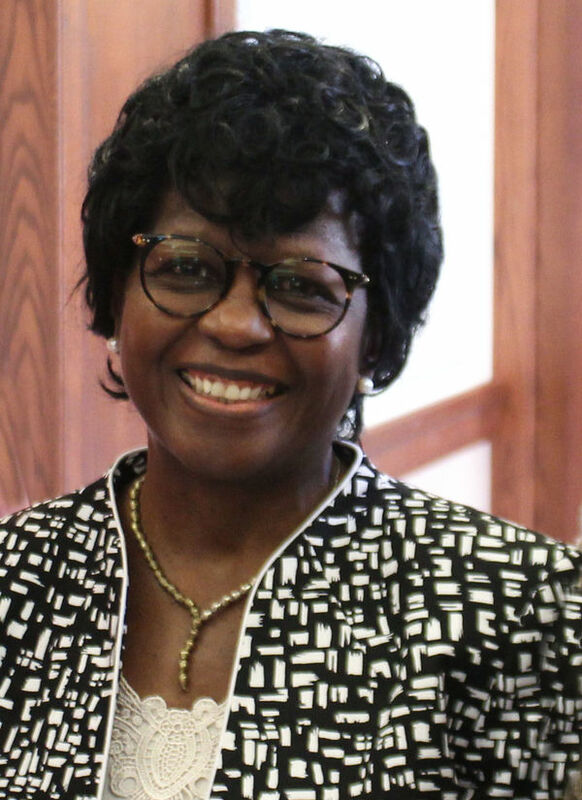 Dr. Oluwole drew from her expansive personal experience working firsthand with breast and cervical cancer patients and clinical teams worldwide, particularly in low resource settings. Stating that it is “bad to have cancer, but worse to have cancer if you are poor,” Oluwole clarified that cancer is most often a death sentence for women in developing countries, such that women do not seek diagnosis or treatment. Third world countries also have a disproportionate women’s cancer burden, resulting in a “cancer divide” with relatively similar rates of cancer incidence but significantly higher death rates. Dr. Oluwole outlined the complexity of the problem, highlighting challenges including lack of access to information, screening and treatment, funding for care, geographic access to nearby facilities and lack of strong healthcare systems. Concluding with a call to action to implement the “power of one”, Oluwole urged the formation of partnerships to translate innovations in science and technology to dramatically improve the continuum of cancer care for women worldwide. 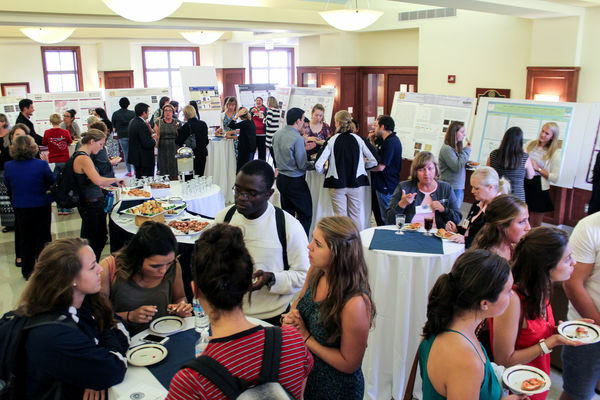 Originally published by Jenna Bilinski at harpercancer.nd.edu on September 18, 2015.